Looking for a roomy, three-row SUV that can carry your whole family and comes loaded with a ton of great amenities and features? 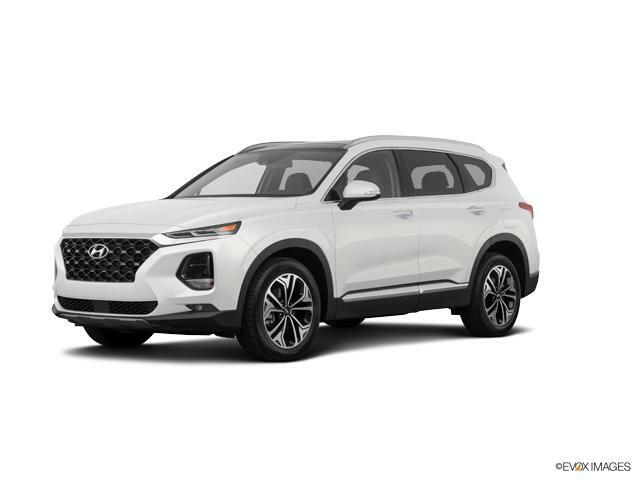 Check out the new Hyundai Santa Fe SUV crossovers we have available at both our Webb Hyundai Merrillville and our Webb Hyundai Highland stores. The Hyundai Santa Fe is a four-door model that seats up to seven people, and it comes with all the cargo storage and power drivers in the Merrillville and Hammond, IN area are looking for. It's powered by a 3.3-liter V6 engine that offers 290 horsepower and 252 pound-feet of torque. A front-wheel drive model, this family-friendly vehicle can also be ordered with optional all-wheel drive. The Hyundai Santa Fe offers the elevated ground clearance that makes SUV-style vehicles perfect for our Crown Point IN weather conditions, and, if you order it with the available all-wheel drive, it comes standard with a windshield wiper de-icer. The Hyundai Santa Fe SE, this base model Santa Fe gives drivers a rearview camera, Android Auto and Apple CarPlay smartphone integration, and the Hyundai Blue Link communications system standard. The Hyundai Santa Fe SE Ultimate, the next level up, it keeps all the same features as the previous trim, and adds standard heated steering wheel, heated seats for the front and second rows, a touchscreen interface with navigation system, a hands-free power liftgate, and safety features such as blind spot monitoring and rear parking sensors. The Hyundai Santa Fe Limited Ultimate, the top trim for this SUV, this model has unique exterior accents, and the same tech and safety features as the SE Ultimate model. It also gets a set of captain's chairs for the second row, instead of bench-style seating, which reduces overall capacity to six people. Browse through our available online listings of available Hyundai Santa Fe models. When you're ready to meet some in person, stop by and visit either our Webb Hyundai Merrillville or Webb Hyundai Highland showrooms, and let our sales professionals help you choose the perfect model for your family.